On the conclusion of the transfer window I have promised myself that I would take a sober analysis of the dealings. It felt unfair to make judgement half way through and all of the actors involved; Moshiri, Walsh & Koeman deserved the full window and opportunity to be measured. While my initial intention was to evaluate the window itself, I feel more fundamental and interesting questions have arisen. As is always the case there is a range of viewpoints on the quality of the window. They range from those who consider it an unmitigated disaster indicative of no tangible change to those who believe we have been successful in improving our squad without spending a fortune. My position is closer to the former but falls somewhere between the two. There is an interesting article to be written on it but it is not my focus today. For the sake of simplicity I am going characterise the window as one that we could have performed better in and improvements could be made. I hope this is a statement that can unify the differing strands of opinion. One position on how improvements can be made has been that we need another set of new owners. That Moshiri is a front for Kenwright. That no money has been made available. I disagree with this viewpoint. 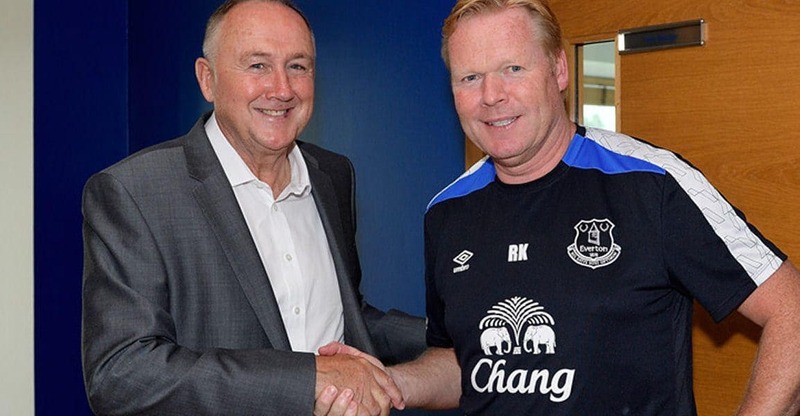 Again this is probably another article but I don’t think Koeman and Walsh come to Everton if they were moving to a club ran on the basis of “sell to buy”. I don’t think we are a big enough draw. Another more interesting position emerged that it is a difficult window and having additional money doesn’t make any difference. This has begun to find a hearing in The Echo with different articles expressing the difficulties of the window. I believe it leads to a fatalism and one that needs to be challenged. However if we had money and we didn’t complete deals; how did this happen has to remain the prescient question. Regular contributor to this site The Esk has stated that it is a question of closing deals after a positive initial pitch. I have much sympathy and a certain agreement with this but I do feel there are more important questions to address. When watching our transfer business I was left with an overwhelming feeling that we had no clear idea of what we were trying to do. There appeared to be 3 differing phases. Phase 1-Marquee signings (Mata, Koulibaly, Witsel, Strootman, Carvalho), phase 2- experienced premier league players (Arnautovic, Bolasie, Williams, Fonte, Kone, Gueye*) , phase 3-unearthed gems from abroad (Ghezzal, Perez, Gueye*, Gabbiadini, Brahimi). There are some overlaps but do feel that’s a realistic grouping of the different groups. What is striking is firstly the involvement of Walsh as the window went on and the move towards phase 3 from phase 1. The other is that there is a muddled approach. I come back to the question, what was it we were looking to achieve in the window? For me this is the biggest thing Moshiri can give us over the next 3-4 months. A clarity as to how he intends Everton to compete. When Chelsea and Manchester City were taken over they blitzed the market. Not only did they spend lots of money they blew competition out of the water, often doubling wages offered by top teams. Given the league has significantly more money now than 10-15 years ago there is a serious question about the viability of this approach. Double Pogba, or Ibrahamovics wage is 500k per week. There is the obvious question of viability but also about whether we would want that approach going forward. Put simply I don’t think it’s a viable option. However the wider point is if this is what Moshiri wants to do going forward there has to be an honesty about what it entails. If we want to go down the marquee signing route it will involve significant investment. That needs to be communicated to Walsh and he can be judged on that basis. For some there will be an honour in trying to acquire the best and failing to reflect that “well at least we tried our best and it was a hard window”. I disagree with this it, feels fatalistic and it doesn’t help Everton improve. Our strategy window to window needs to be based on a concrete analysis of a concrete situation. How can we best improve the first team? There is some irony in our current situation. For years under Moyes we had a top 6 team who felt we could strive for the top 4 had we been able to get a player or 2 in. Now we have the finances to do so yet we can’t attract the players. While controversial for some, my own take is that we need to adopt what was best about the Moyes era alongside adding additional funding to maximise our opportunities of success. What are the best bits of the Moyes era? I would say a manager who is a proficient in coaching and improving players who is stable in his job, looking to involve young players where possible and scouting from diverse markets. This may mean leagues like Holland, France, Portugal as well as dropping down the divisions. Rarely do these players come with a glamour of marquee signings but they can be mightily effective. The age range would ideally be between 22-26- prioritising lads who are going to coming into their peak years in a 12-18 month period, as opposed to having to wait for several years of inconsistency as you do with younger players. Think Cahill, Arteta, Peinaar, Lescott, Johnson, Mirallas, Jagielka and Baines as examples of this. All of them are lads who were important parts of the squad and performing consistently within no more than 12-18 months. Then consider lads like Moutinho, Essien, Cech and Kuyt (all from “unfashionable leagues”) who Moyes heavily wanted yet finances were a preventative factor in allowing us to recruit. This is only my strategy. Whether they choose to adopt that or not again is slightly beside the point however whats important is a clarity of thinking develops. The cliché “Moyes type signing” became apparent and it was reflective of good recruitment. Everybody at the club and the coaching staff knew the type of player he was after and what he would try to do with them. Not every signing worked out but as a club we performed consistently in the league on lower outlay than rival teams. None of this article is aiming to deflect away from the need to improve our conversion ratio on signings. There undoubtedly an issue with closing deals that should be improved and should be done so alongside having a clear strategy not in spite of it. It’s my own belief that a complacency set it early in the window at targets interest in Everton. I think we overestimated the pull of Everton and underestimated the pull of the Premier League. When it came to close deals specifically for Everton targets ultimately wouldn’t get over the line. This can’t be solved alone with having a clear vision thrashed out in a backroom of Finch Farm. Strategic meetings of that nature are generally over emphasised but in this instance I would say essential. A clearer approach would reduce the pressure on those charged with finalising deals and should avoid a repeat of transfer deadline day scrambles where we move from Gabbiadini to Valencia via Sissoko and Brahimi. The job of Everton is to sit at the summit of English football. Only 3 clubs have done this more than us historically. That has been lost over the last 20 years and the evaluation of the window as a positive one in indicative of the hopelessness that has seeped into the fanbase. This doesn’t make them bad Evertonians, it’s a reflection of the material reality of 20 years without a trophy. Standards are dropped, expectations diminish and hope reduces. I certainly don’t expect us to go and pay Pogba 300k per week, or make several marquee signings. I won’t hammer a board for not doing that. What I do expect though is a plan in place that starts with the aim of being the best, not one that is content with treading water and bemoaning external difficulties. In the summer we have acquired a world famous Manager (who’s managerial CV is also impressive). We have a DOF who in his previous role oversaw a transformation of Leicester from a League 1 side to Premier League Champions. We also have funds in place to compete. Our objective has to be to utilise those factors to their maximum. In order to do that the next 4 months need to be where a coherent strategy is worked out to do this.